Look at what an innocent looking little tin of drinking chocolate that is. A very colorful tin, an exotic font spelling out what it is, and the name of the chocolate maker very small on the front. You'd be forgiven for thinking this is just an ordinary hot chocolate. Then you open the tin. I had it shipped to my work place, and opened it there. I instantly ran from my office, dashing up and down the hall, barging into my coworkers offices, yelling "Smell this!" while thrusting the tin in their face. 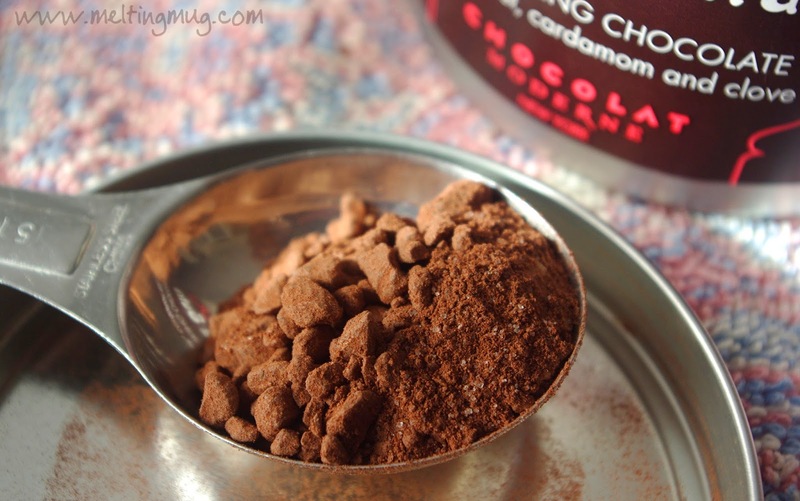 I had never smelled a hot chocolate like this before, and I couldn't wait to get home to make it! 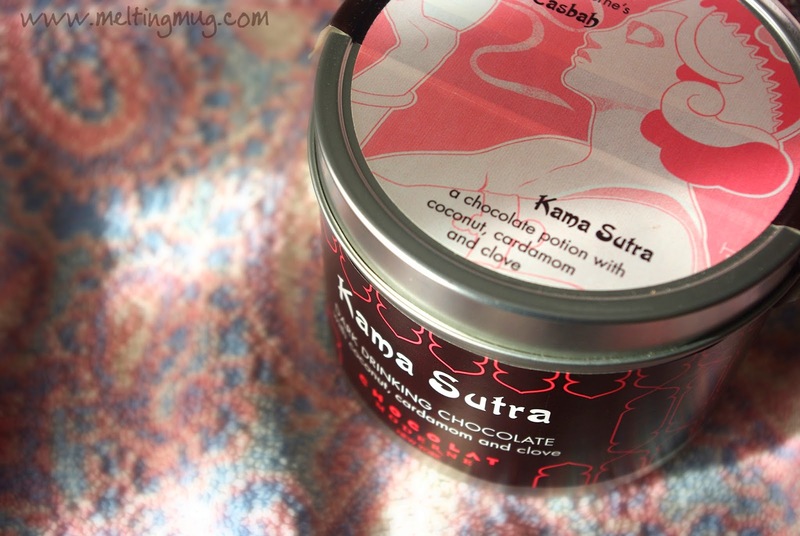 This is Chocolat Moderne's Kama Sutra Dark Drinking Chocolate. Chocolate Moderne is based in New York, founded in 2003 by chocolatier Joan Coukos. I can't even remember how I came across this one. Probably browsing around on Amazon. Later I learned it had won a sofi award for outstanding hot beverage. The sofi article mentions they use Varlhona Couvetures and cocoa powder. Couventures are just chocolates made with extra cocoa butter for a higher gloss finish, which probably isn't extremely important in a drinking chocolate. Although, cocoa butter is a fat, so maybe that added fat helps make the drink creamier and smoother. Whether it helps or not, Varlhona is always a great chocolate to start from. That brings us to the spices and flavors they add - cardamom, clove, and coconut. When I opened the tin that day in my office, I had no idea it was going to be so different and enticing. The aroma is like the beach on a warm summer day, or maybe a relaxing evening at the spa. 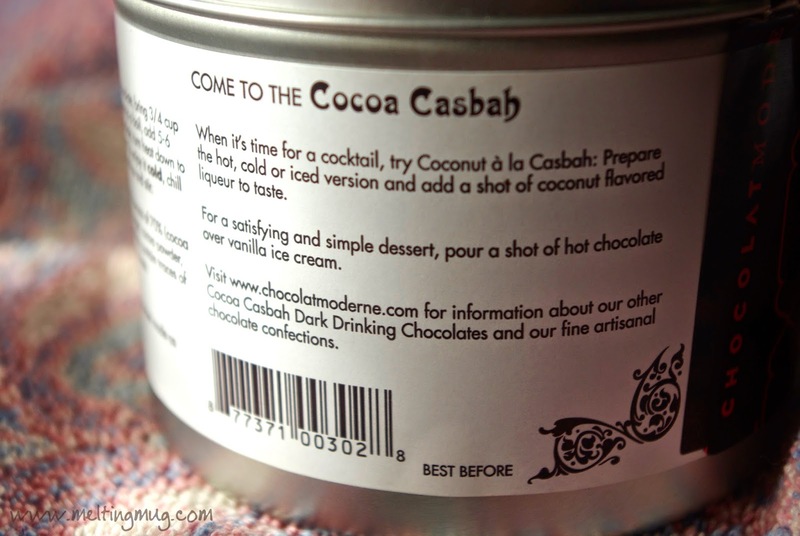 The coconut mixes with the chocolate in what has to be the best-scented hot chocolate I've yet experienced. The coconut is really coming through on this one, and nothing compliments that better than the cardamom and clove. 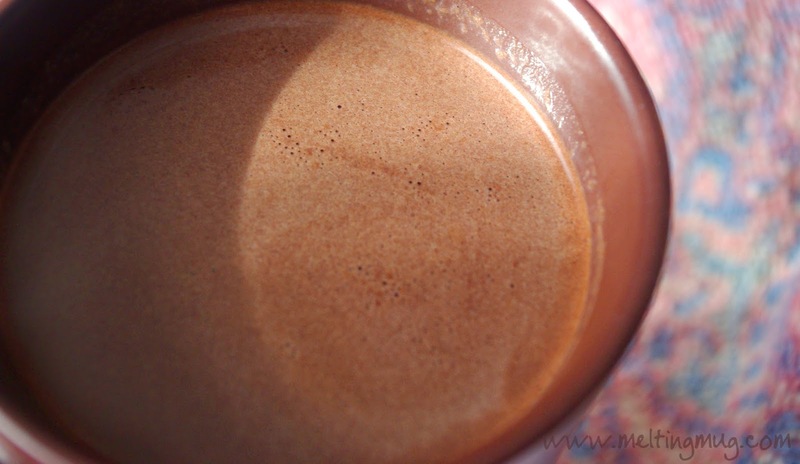 It's one of the most relaxing, laid back cups of hot cocoa I've ever had. It instantly makes me feel like I'm on vacation! Whatever you do, do not put marshmallows on this one! As the marshmallows melt, they will sweeten it too much and dilute the complex flavors. This one deserves only light complimentary flavors, something that would bring out the flavors of the drink even more. I served mine with almond flavored whipped cream and a sprinkling of coconut shavings. I can't praise this one enough. 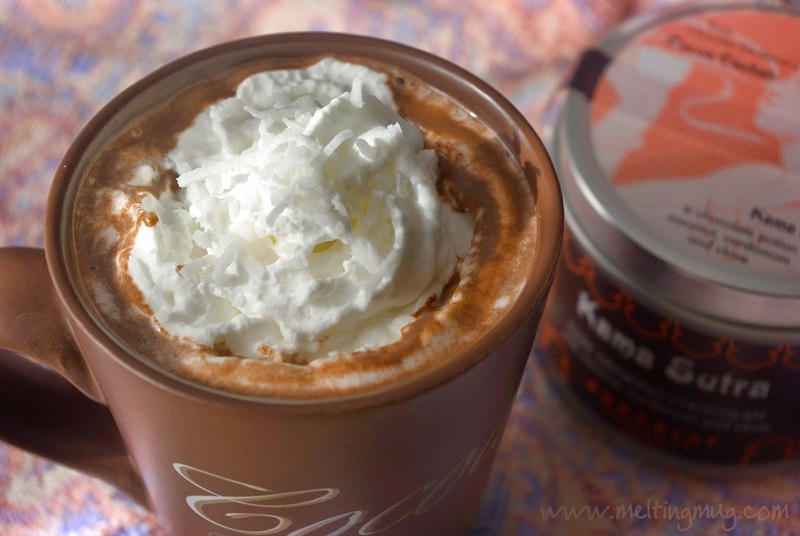 It's unique and original, definitely a one-of-a-kind hot chocolate. If you're about to order something from Amazon, go ahead and throw this in your cart. You will absolutely not be disappointed. And try Chocolat Moderne's other flavors! I'm sure going to!